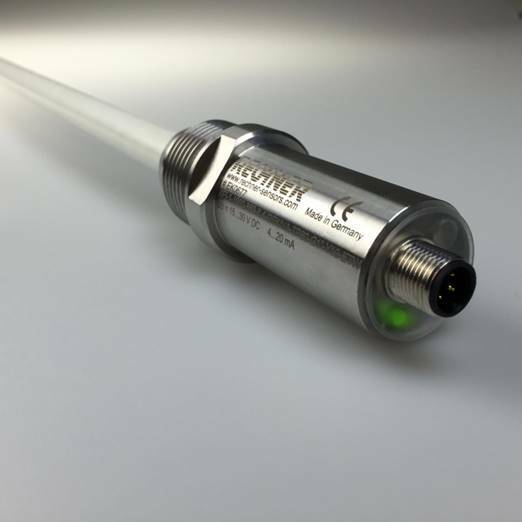 The KFI-series iLevel capacitive probe is based on Rechner Sensor 3-electrode technology but with some new features. 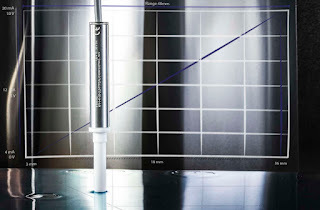 These include integrated electronics in the body of the probe and programmable switching points that can be set anywhere on the active area of the sensor. This means the iLevel has the same great ability to ignore massive build-up of product but in a more compact and customizable sensor. It even keeps the ability to operate at elevated temperatures (392°F/ 200°C). Whether you are detecting liquids or solids, the iLevel sensor is ideal for replacing old mechanical switches whose moving parts are prone to wear, to seizing, and to material build-up in the seals and bearings. 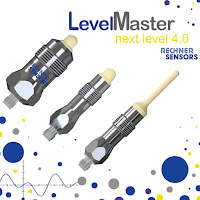 The iLevel sensor has no moving parts, has no place for material to ingress, and is immune to build up of sticky viscous materials like hot melt glue, chocolate sauce, or molasses. 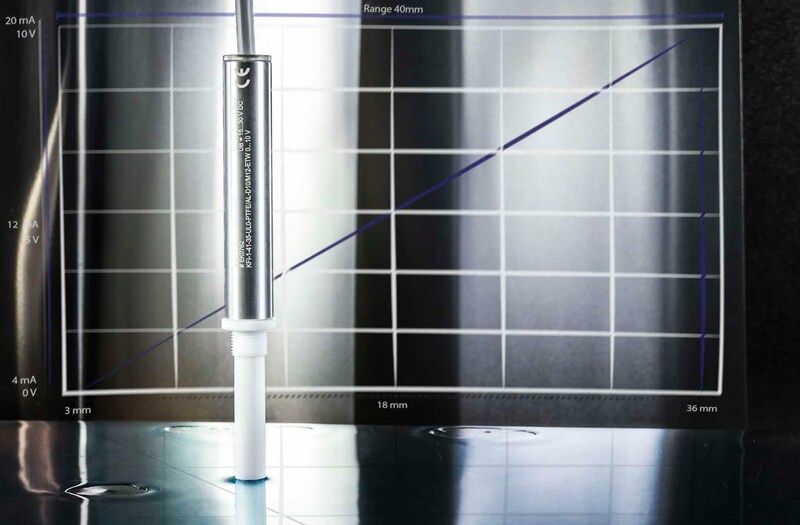 Discrete versions of the new KFI – iLevel probes come with 1 or 2 programmable ON/OFF points for convenient high/low level control of solids or liquids. These transistor outputs are NPN/PNP auto-detecting. Analog versions are also available. With a 4-20 mA or 0-10 V output, you decide where your low and high settings are programmed. Programming is easy. You don’t need a computer or a special device; simply connect the gray teaching wire to the same power supply that is powering the sensor to cycle through the teaching options. When the LED flashes for the option you want to program, disconnect the teaching wire and the sensor will save your setting. Your settings will be saved even if you disconnect the sensor from power. Standard lengths are approximately 10”, 20”, 30”, 40” (25cm, 50cm, 75cm or 1m) and can be made up to 80” long (2m).